Considering Ukraine is already experiencing election turbulence, the German leader's visit is of symbolic importance to the upcoming presidential election. Merkel's arrival can be seen as a signal to Ukrainians, as well as to the West, that she supports the course Ukraine chose four years ago, its current government and personally Petro Poroshenko. German Chancellor Angela Merkel coming to Ukraine on 1 November for the second time in the last four years (the previous one was in August 2014). The official announcement says she is going to discuss the whole range of issues on the current agenda: from security (the situation in Donbas, Crimea and in the Sea of Azov) to economy (energy, which means Nord Stream-2) to reforms in Ukraine and German help in their implementation. But even the very fact of the visit by the leader of Germany, the country that has become the most important ally of Ukraine in Europe and the world with the onset of Russian aggression, is a serious signal on the eve of the presidential election. Angela Merkel's importance to Ukraine is difficult to overestimate. “I can responsibly state that this (the surrender of Ukraine – Ed.note) is absolutely ruled out. First of all, thanks to an extremely high level of personal trust that has developed between the president of Ukraine and the German chancellor. Merkel plays a key role in supporting Ukraine, primarily in restoring our sovereignty and - I am sure - will play it at least until the end of this coalition agreement (that is, for the next three or more years)... And thanks to this trust, this unique relationship, I can safely say, even with her hand in the fire, German Chancellor Angela Merkel will never surrender Ukraine,” Andriy Melnyk, Ukraine's ambassador to Germany, said in an interview with LB.ua this August. According to the ambassador, Merkel has a deep personal affection for Ukraine and Ukrainians. Besides, there is a close personal bond between the two heads of state. “Take my word for it: there is no other head of state, apart from our president, with whom the German leader would talk on the phone more often. So, there is a personal contact - and it is extremely close,” Melnyk said. Facts confirm that after the Revolution of Dignity, Merkel's Germany became Ukraine’s most important ally. Firstly, this concerned Merkel's support for Ukraine getting the association agreement with the EU, as well as visa-free status. According to LB.ua, it was the German chancellor who repeatedly assured Petro Poroshenko that Ukraine’s visa-free status was a done deal, which he happily and immediately shared with the public. But because of European bureaucracy, the dates were delayed time and again, and Poroshenko had to face harsh criticism for giving premature hopes. But it should be said that Ukraine has never disclosed the source of the assurances in order not to expose the relationship between the heads of state. Second, Merkel became the guarantor of European sanctions against Russia. Despite being criticized, to an extent, for the lack of decisive actions against Russia, it was Merkel's government, largely thanks to its international experience, put the greatest pressure on Putin. Third, Ukraine has become part of not only the foreign but also domestic policy of Germany. So, Ukraine is one of four countries that are part of the coalition agreement of the incumbent German government: along with Turkey (human rights issues), Russia (sanctions) and Afghanistan (there is a German military contingent). In the case of Ukraine, it is about support for Ukrainian reforms and the tireless search for peace (the extension of the Normandy format for the implementation of the Minsk agreements, a peacekeeping mission is regarded as a separate issue). 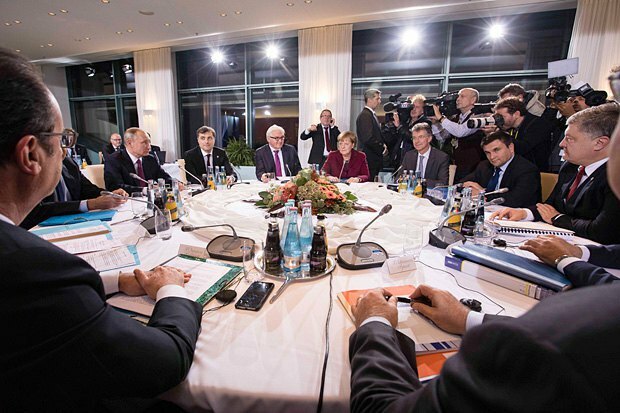 The Minsk agreements are Merkel's special contribution to support for Ukraine. The recent memoirs published by former French President Francois Hollande give an idea of how difficult those negotiations were. The German chancellor was strict. “Angela Merkel, speaking in an icy tone, promised Putin a long isolation. He was hesitating, looking for ways to win time... His goal was to weaken Kyiv as much as possible, hoping to see a team in power in a while that would be more pliable for Russian interests and more distant from the EU. Above all, he does not want Ukraine to join NATO and get weapons which could change the balance of power,” Hollande said. So, Merkel has been and still is the driving force of the Normandy format: she then managed to force Putin to the negotiating table and impose certain obligations on him. His regime is being harshly punished with European sanctions for the failure to deliver on them. It is the Minsk process that forms the foundation for the majority of sanctions for the EU. And, naturally, Ukraine’s unilateral withdrawal from the Minsk process, like some presidential candidates are now proposing, will undermine the EU’s support for anti-Russian sanctions. 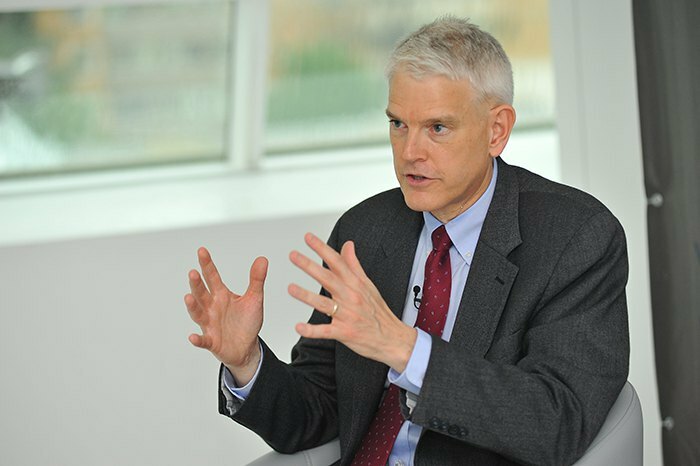 "The Minsk process guarantees the involvement of Chancellor Merkel and French President Macron - and I think that it is useful for Ukraine to have such European intermediaries at the highest level," a former US ambassador to Ukraine, Steven Pifer, said in an interview with LB.ua. There are also problems in relations between Berlin and Kyiv. First of all, this is Nord Stream-2. 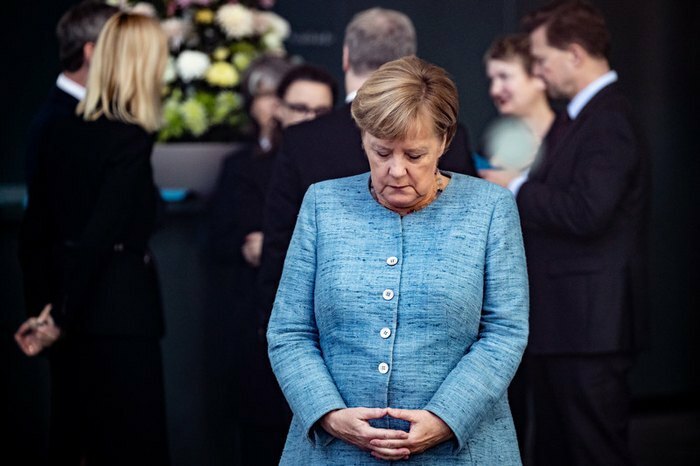 Here Merkel is torn between the greed of German gas companies and the need to punish the Russian aggressor, which downplays the role of Germany as a global player capable of settling international problems. The stakes are high for Kyiv too. It can lose 3bn dollars in transit fees annually. However, while sorting these out with Berlin, it is important not to push too much in order to keep this one question, albeit a problematic one, from destroying the entire framework of bilateral relations, which have taken four years of painstaking efforts to build. Of course, there will be “well-wishers” who will be extremely happy about this, both behind the border and in Ukraine. It is not often that foreign leaders visit other countries during election campaigns in order not to give any party a chance to use this opportunity for campaigning. Certainly, there are exceptions. For example, Moscow openly played on the side of Yanukovych in the 2014 elections in Ukraine. But it was Russia whereas we are talking about civilized countries. Merkel's visit to Kyiv before the legal start of the presidential campaign in Ukraine is a way to avoid accusations of Berlin’s bias. But considering Ukraine is already experiencing pre-election turbulence, the German leader's visit is of symbolic importance to the coming presidential election. Back at the planning stage, the visit was designed to carry a symbolic meaning, that is to become an important symbol of solidarity with the Ukrainian people in their struggle against Russia, as a symbol of practical support for the reform-minded forces. 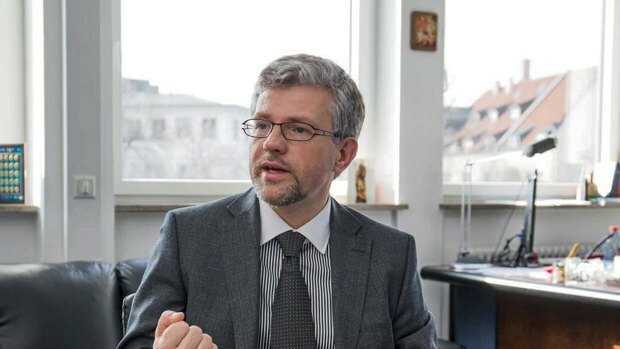 Berlin will not allow being openly pulled in the domestic Ukrainian electoral agenda, although it considers the upcoming elections a risk, a risk that the current course of Ukraine may change. According to Andriy Melnyk, at the coming elections, Germany's government and political elite will unequivocally support those Ukrainian politicians whose practical steps meet several important criteria. The first criterion is commitment to further reform. “Everyone who, not by words but by deeds, promotes not always popular but necessary systemic reforms can safely count on the support of official Berlin. It is also about putting the ideals of the Revolution of Dignity into practice for the sake of people,” the ambassador said. The second criterion is support for the implementation of the Minsk agreements despite all the difficulties. As I have said above, Germany and France are the key international mediators of efforts to stop Russian aggression in the east, and the Minsk agreements are practically an integral part of the coalition agreement. “Therefore, the German authorities will give their support to those political forces in Ukraine, which demonstrate in practice their loyalty to Minsk, despite all the difficulties,” Melnyk said. 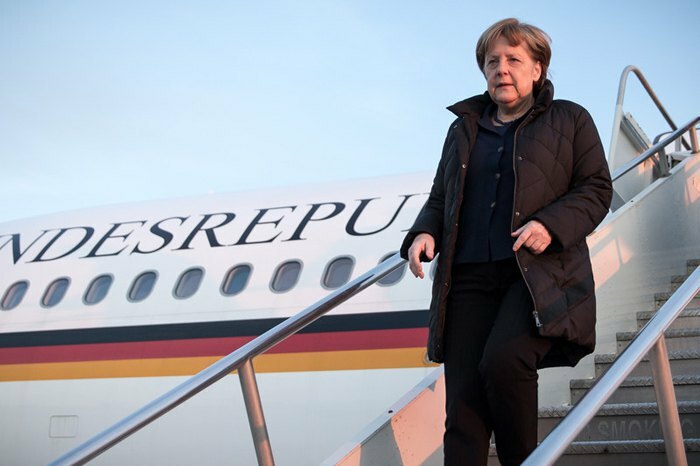 The chancellor’s visit to Kyiv is overshadowed by events in Germany, namely Merkel’s plan not to seek re-election as CDU party leader. That instantly gave rise to statements about the "end of Merkel's epoch". Allegations about Merkel's "ousting" have been made for a long time, especially by the Russian press and its experts. It is not surprising because she has become an inconvenient partner for the Kremlin's master because she did not turn a blind eye to Putin’s occupation of Ukrainian Crimea and Donbas. For four years, she has been keeping together the European anti-Russian coalition, trying to get Putin to do what he had committed himself to in Minsk. Therefore, Merkel's statement should be regarded as a logical element of political struggle. It became a legitimate reaction to the series of her party's election failures in federal states. The populist Alternative for Germany (AfD) party has been gradually biting off about 10% from each party in the ruling CDU/CSU coalition. As a result, nationwide polls of voters record with unenviable consistency a fall of the CDU/CSU rating. The last poll in mid-October showed that only 26% of voters are ready to vote for the CDU/CSU, the worst figure in the history of the conservative bloc. It would be dangerous not to react to this tendency. Moreover, Germany has long maintained (mostly thanks to Chancellor Merkel) the conservative position while traditional parties in neighbouring European countries suffered regular defeats. For example, in France, where traditional parties - Republicans and socialists – suffered a crushing defeat to the little-known, but young, modern and decisive Macron with his haphazardly formed movement La République En Marche!, which evolved from a social movement into a party on the eve of the elections only. So, Germany has also found itself tired of elites. Moreover, many Germans are irritated by the arrival of hundreds of thousands of people of the different culture and religion, which has taken its toll on the image of the chancellor who advocated the integration of the newcomers into European society. It can be said that Putin, which specifically bombed Syria to stimulate the flow of refugees to Europe, achieved his goal of causing chaos in Europe. And even now he continues to blackmail Europe with new migration waves, this time from Libya (fueling the inter-clan war with weapons and troops and siding with one of the parties, Gen Haftar). Nevertheless, Merkel has managed to hold the situation under control, so she is definitely not a wimp. Therefore, her statement that she is not planning to run for CDU party head again at the December congress may have a deeper meaning than it seems at first glance. For example, she is taking this tactical step to ensure that she remains the chancellor of a big coalition until the 2021 election. However, it will be a very difficult task to be the "outgoing" chancellor for three years: Merkel's plans can be derailed by her fellow party members, who have already started carving up power, and Social Democrats, who can throw a tantrum and leave the coalition. But it is in the interest of Ukraine that Merkel's manoeuvre proves right. Because as long as Merkel remains the German chancellor, Ukraine can enjoy Europe’s support at the high level. Later it will only become more difficult: it is unlikely that Merkel’s future successor, regardless of his or her position, can be as effective. Both Kyiv and Berlin must remember this and not put off the implementation of important projects.